Last month I read a total of fifteen books: Zeroes (Zeroes #1) by Scott Westerfeld, The Darkest Part of the Forest by Holly Black, Stolen Songbird (The Malediction Trilogy #1) by Danielle L. Jensen, Sorcerer to the Crown (Sorcerer Royal #1) by Zen Cho, The Young Elites (The Young Elites #1) by Marie Lu, Talon by Janet Lee Carey, Dangerous Days in Elizabethan England by Terry Deary, The Just City (Thessaly #1) by Jo Whalton, An Ember in the Ashes (An Ember in the Ashes #1) by Sabaa Tahir, The Graces by Laure Eve, The Winner’s Curse (The Winner’s Trilogy #1) by Marie Rutkoski, One Flew Over The Cuckoo’s Nest by Ken Kesey, The Dark Days Club (Lady Helen #1) by Alison Goodman, Knight’s Shadow (Greatcoats #2) by Sebastien de Castell and The Demon King (The Seven Realms #1) by Cinda Williams Chima. December was definitely a great reading month! Most of what I read came from the library, stuff that I’d ordered in especially so I was excited for all of it. However, my standout books have to be The Demon King, Knight’s Shadow and The Just City. The Demon King felt like a classic fantasy novel, and just completely and utterly drew me in. Knight’s Shadow was a fantastic follow up to Traitor’s Blade, and The Just City was just so unique and really appealed to my archaeology and ancient history loving self. I managed to recruit all heroes and defeat all villains for the DC vs Marvel Challenge in 2016, so I’m pretty pleased with myself. 2017 sees the Justice League vs Teen Titans reading challenge, this time hosted by Wayland. I don’t think I’ll be quite as determined to recruit/defeat everyone this time round, as it did sort of take over my reading in 2016. But I’ll see what I can do! I won’t keep track of my progress on the blog, just on our Goodreads group. 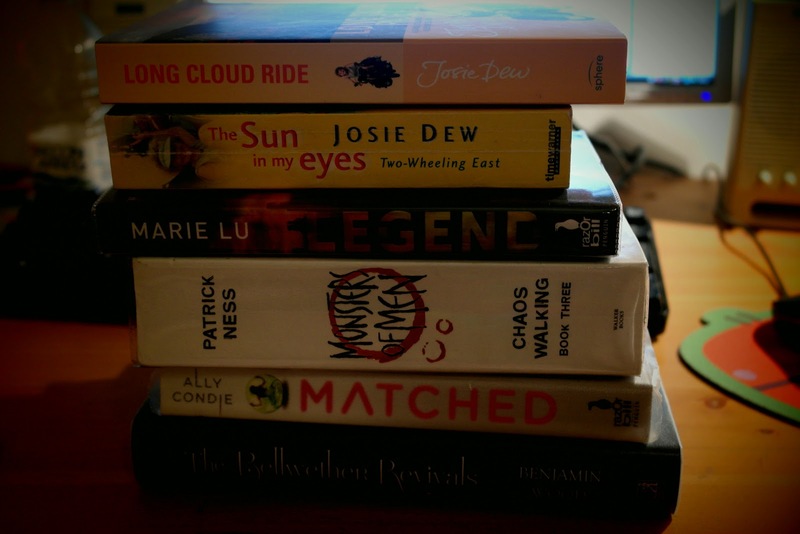 Long Cloud Ride and The Sun in My Eyes by Josie Dew – Josie Dew is a very under-rated travel writer. She travels all over the world on her bicycle, and she has a very witty writing style that I really enjoy. Sort of a female Bill Bryson. I noticed there were two of her books I hadn’t read, so ordered them off of Amazon. Long Cloud Ride covers her journey around New Zealand, and The Sun in My Eyes is the second part of her journey around Japan; the first being A Ride in the Neon Sun and one of my favourite books. Legend by Marie Lu – I’ve read so many great reviews on this one, and it claims that you’ll enjoy it if you’re a fan of The Hunger Games, which I certainly am. I had no idea it was a Les Miserables retelling until I read the back cover though! Matched by Ally Condie – another YA novel I’ve seen with great reviews! I believe the third book in the series has just recently been released. The Bellwether Revivals by Benjamin Wood – this is recommended for fans of Donna Tartt’s The Secret History, a book which I absolutely loved. It sounds really interesting from the blurb alone. And that’s all for this week! 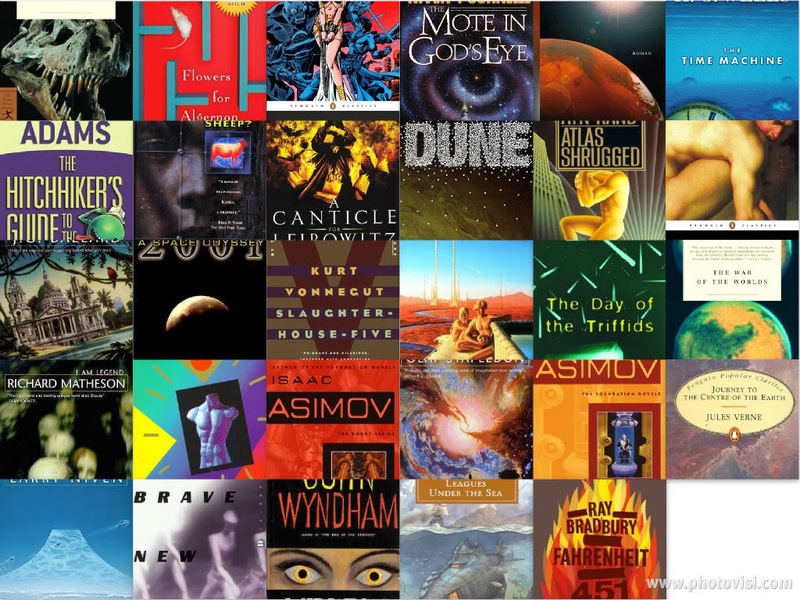 Have you read any of these books, and if so, what were your thoughts on them? What did you receive this week?